James said: "In the hot summer months, the air-conditioned Book-In-Bar would be a chic place to cool down with a book in hand. 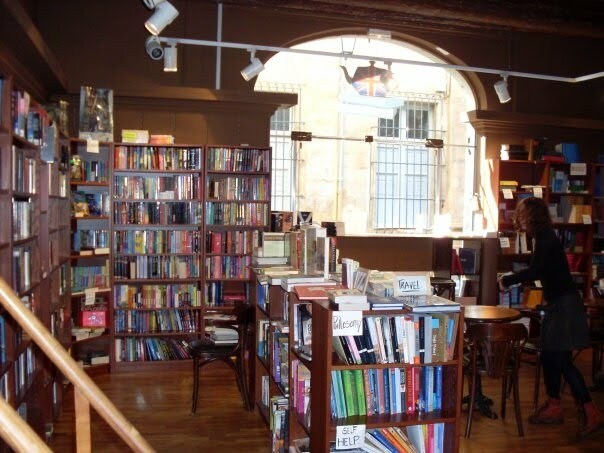 This bookstore is located just minutes' walk from the main thoroughfare, Cours Mirabeau, in an area popular with students. Inside the bookstore, there is a bar that offers a selection of drinks (coffee, tea and juices) as well as croissants and other pastries. Spread out over the two floors is a wide selection of English books. To make yourself comfortable, you can either sit down and read at the tables or on the comfortable sofas provided. Aside from the books, there are also newspapers and magazines that would keep you entertained with reading. There is also more reading space upstairs, where you can even play a game of chess. Being an English bookstore in the French Aix-en-Provence, this appears to be a good place for cultural exchange. In fact, near where I was sitting, an American expat lady has striked up a conversation with the French locals who were trying to improve their English. I left with the impression that this bookstore is a gem for English readers in the elegant & relaxed town of Aix." A small island of English language and culture in the French city of Aix-en-Provence, Book in Bar is the favorite destination for locals wishing to improve their English skills and a perfect refuge for expats or tourists. Book in Bar is a purely English bookshop with a very wide selection of Anglophone reading material. 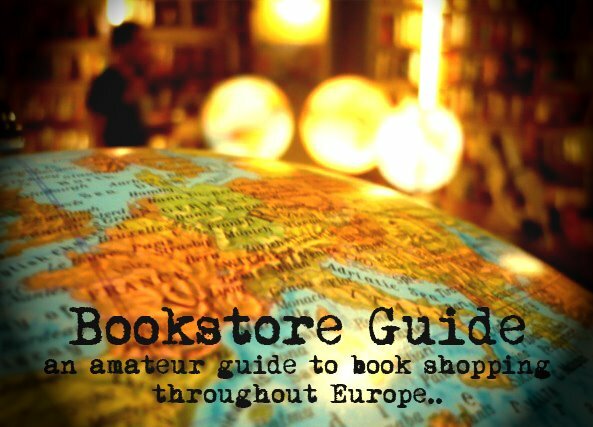 Their offer ranges from general fiction to children's books or a well-stocked travel section. Book in Bar is also very active when it comes to organizing different events and activities for its visitors. You can check their event of the month on their website. They also organize a book club which meets once a month to discuss the selected title which is listed on the website too. The bookstore also holds monthly poetry meetings and readings and even a writing workshop. As this great recommendation from James suggests, this bookstore is a very important focal point for anyone with an affection for English literature. A really wonderful and atmospheric place.